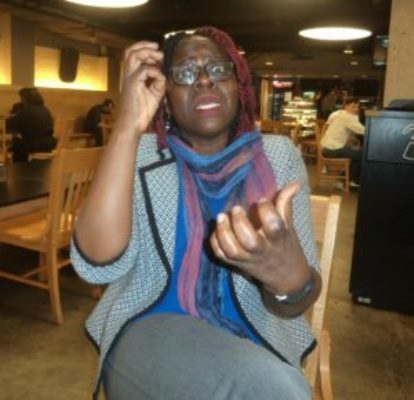 NAN)Dr. Khadijat Rashid who is based in America, has appealed to the federal government of Nigeria to increase funding for education for the deaf. Speaking through an interpreter, she told the News Agency of Nigeria (NAN) in Washington DC on Wednesday that such increase in funding would provide people living with disability access to education. The don said that funding of education for the deaf would be profitable to Nigerian economy. Rashid, specialist in education for the deaf, is currently working as a professor and Dean of the School of Education, Business and Human Services, Gallaudet University, U.S.
Gallaudet University is a federally chartered private university for the education of the deaf and hard of hearing in Washington DC ,U.S.
She said that neglect or underfunding of education for the deaf or people living with disability could be detrimental to the nation. “Education for the deaf is not cheap, however, to neglect this set of people is more expensive. The 51-year -old lecturer called on Nigerian government to emulate the U.S government in funding education for the deaf. “Gallaudet is a private university but we have support from the U.S. and provide quality education for the deaf and people with hard hearing. The don also called on parents who have children that are deaf or hard of hearing to support them by giving them quality education. “The parents should be advised to educate their children with hearing defect, no child is worthless, give them equal opportunity no matter their status.